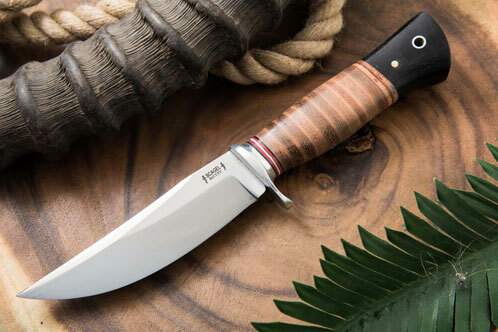 The Scagel Small Hunter is a perfect size belt knife for hunting and camping chores. The slight trailing point blade can easily be used for skinning / field dressing and normal camp chores. The handle is very ergonomic and comfortable in sustained use. The combination of the Scagel influenced blade and the Moran influenced handle shape makes this a very efficient knife in use.